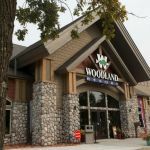 Woodland Resort is proud to call ourselves the "Home of the Perch Patrol Guide Service" This famous team of ice fisherman has called Woodland their home for 8 years now, dating back to 1995. 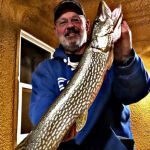 Perhaps you have heard of these guys, or have seen them on national fishing shows such as In-Fisherman, Midwest Outdoors, Tony Dean Outdoors and recently ESPN's The Backroad's Show. Led by Steve "Zippy" Dahl, the Perch Patrol Guide Service consists of 7 full time guides. 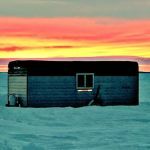 These guys not only posses the fishing knowledge on Devils Lake but ride the cutting edge of what is going on the ice fishing industry. 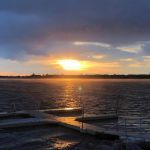 The key to their success is simply the number of hours spent fishing on Devils Lake combined with their "team-work" approach to finding active schools of fish. 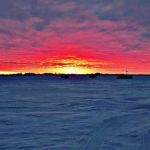 Whether it's the Devils Lake famous Jumbo Perch, Walleyes or Northern Pike, the Perch Patrol will do what it takes to put your group on the "Hottest" action. All of their packages are fully guided and all equipment including heated, portable fish houses, Vexilar FL-18's, Berkley rod and Reel Combos, and both Aqua View and Atlantis underwater cameras are provided. Woodland Resort is proud to host Mitchell's Guide Service. Mitchell's Guide Service is a team of eight professional guides that fish Devils Lake harder than anybody! Using the best equipment, safe and comfortable boats and fishing this fishery practically every day has made this team of guides one of the industry's most respected guide services. These anglers have been featured in In-Fisherman, Walleye Insider, Fishing Facts, Midwest Outdoors; the list goes on. 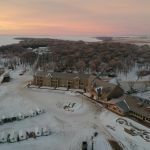 Combine Woodland Resort, Devils Lake's only full service resort on the water with Mitchell's Guide Service, the boys who are on the water more than any body for the ultimate fishing experience.